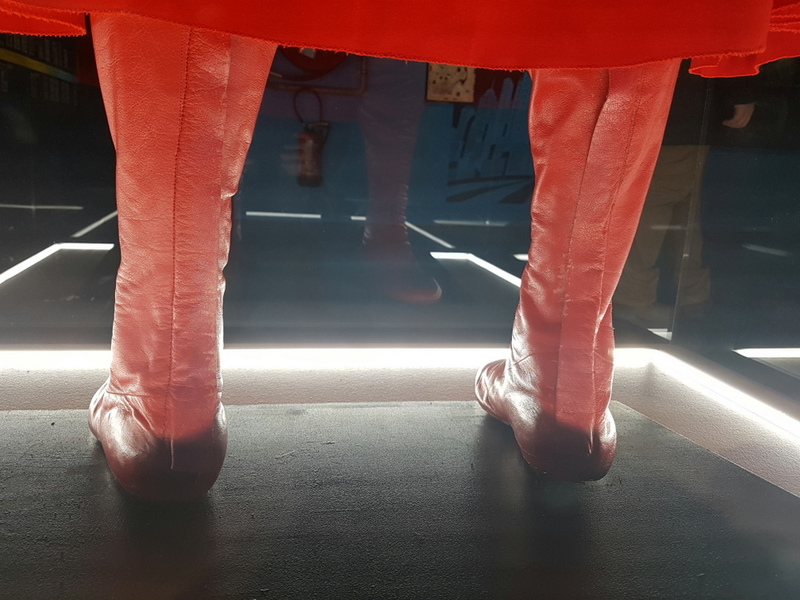 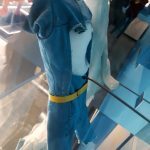 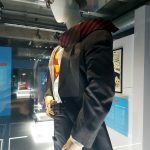 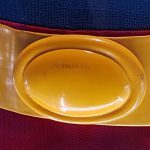 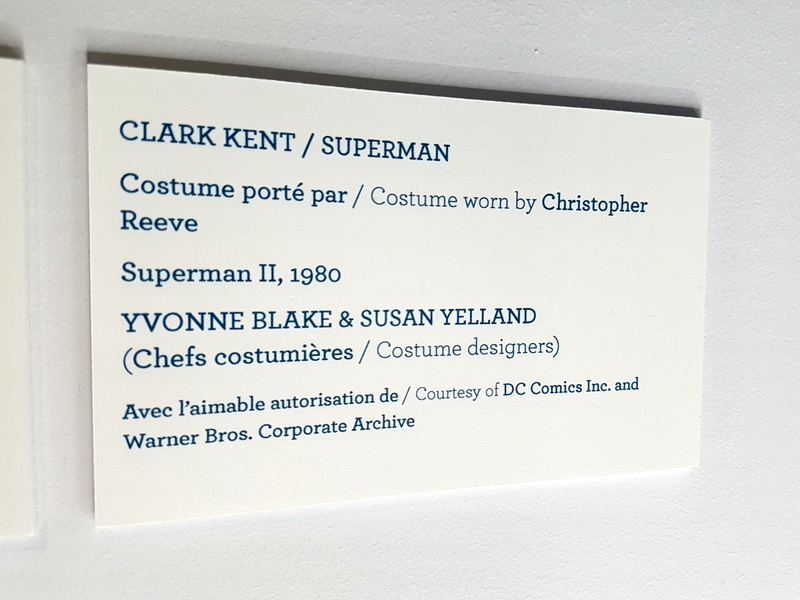 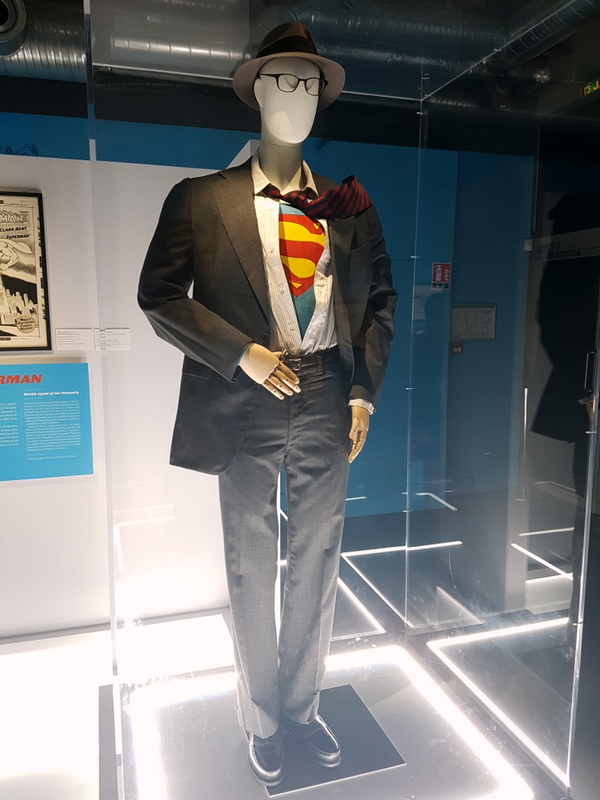 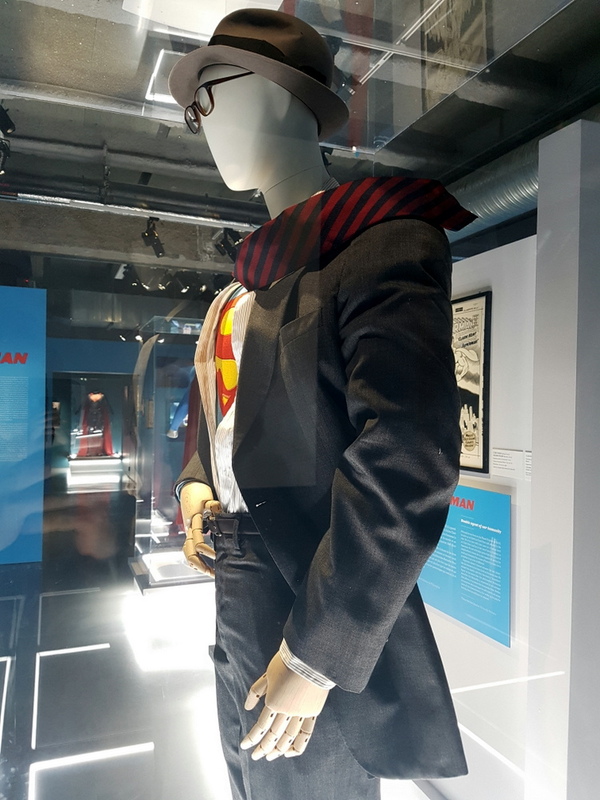 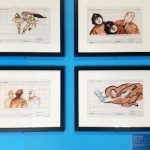 SUPERMANIA brings you a first-hand report from the halls of the Art Ludique-Le Musée in Paris, currently housing the largest archive of DC Comics related exhibits from both page and screen ever to be assembled. 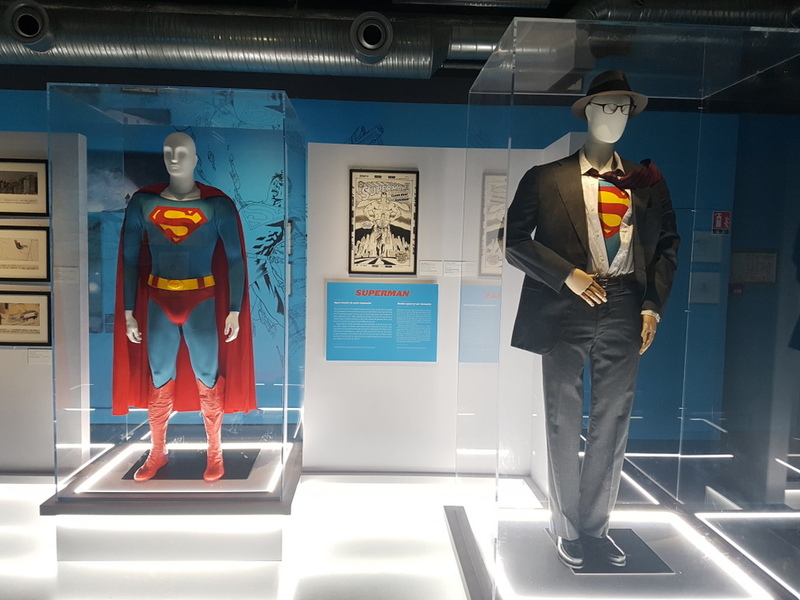 First reported here and now extended until January next year, word on the museum’s Facebook page is ‘The Art of DC – Dawn of the Superheroes’ is destined for the UK in 2018, just in time for the 40th anniversary of Superman: The Movie. 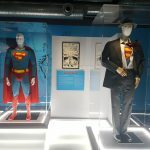 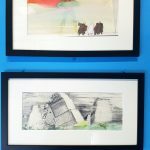 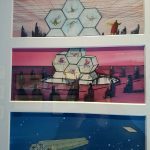 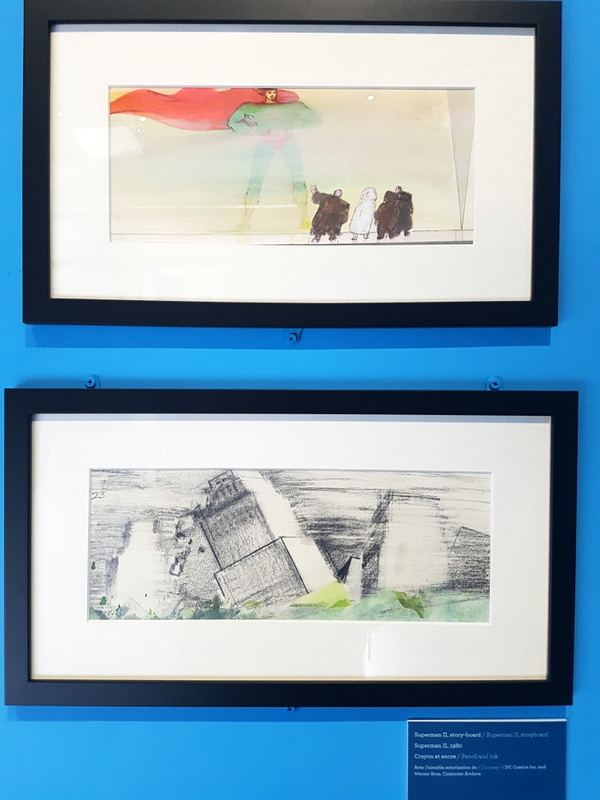 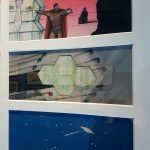 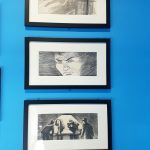 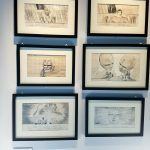 “Having heard about “The Art of DC – Dawn of the Super Heroes” exhibition around the time it was originally due to close in September, I was excited to hear it had been extended to early January 2018 so I had to pay a visit. 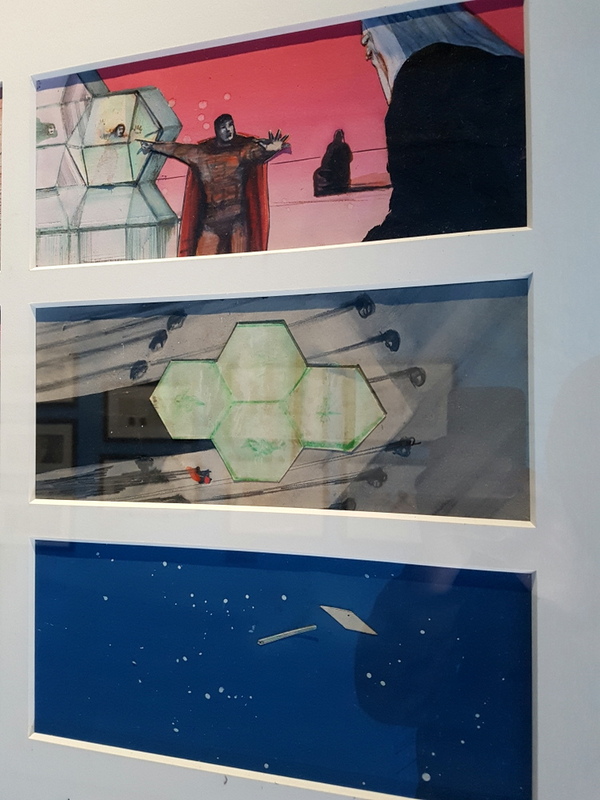 The only concern I had was that the exhibition itself was being held at Art Ludique-Le Musée in Paris and not closer to me in the UK. 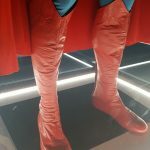 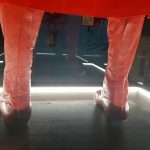 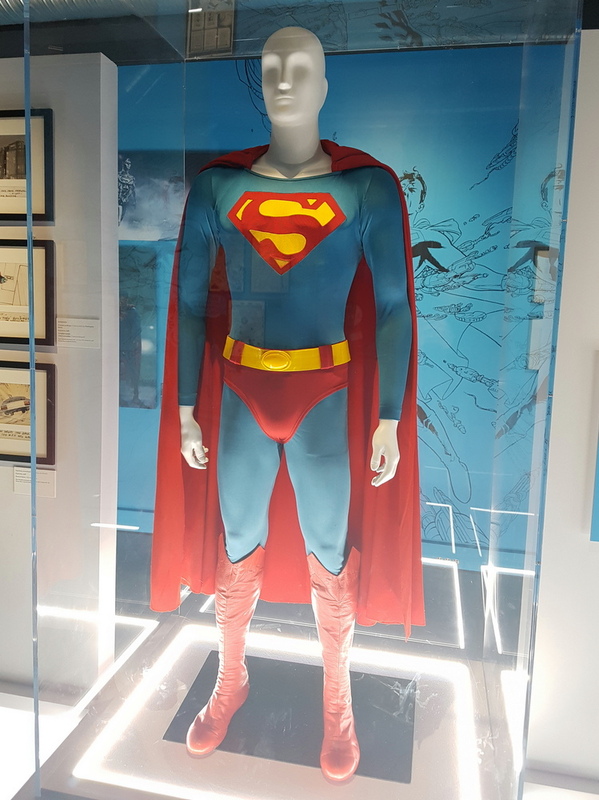 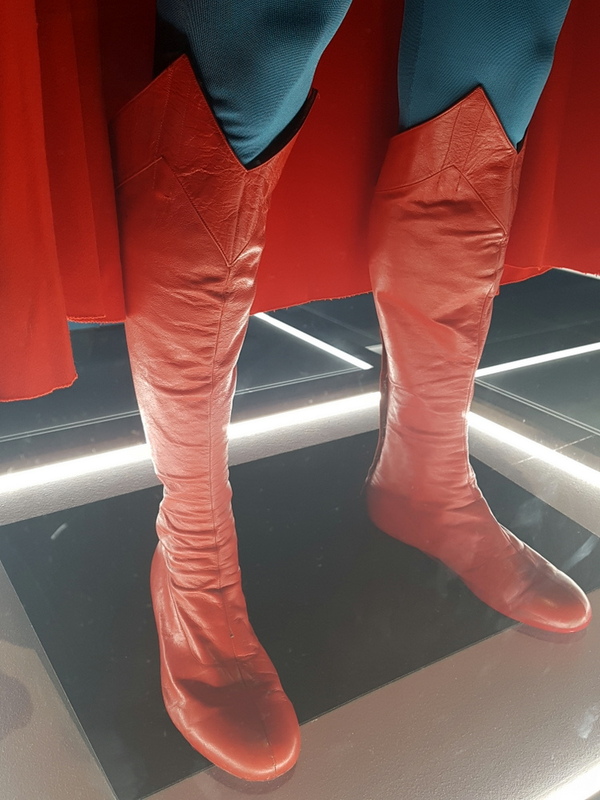 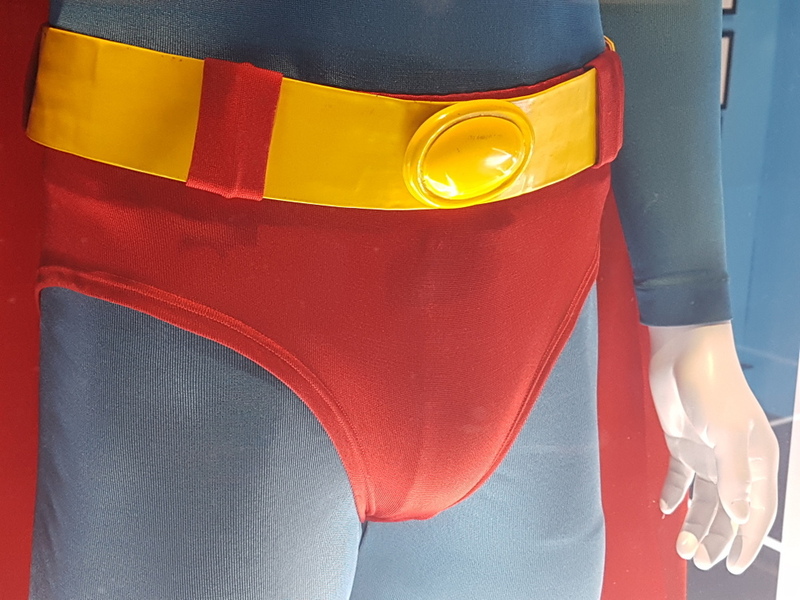 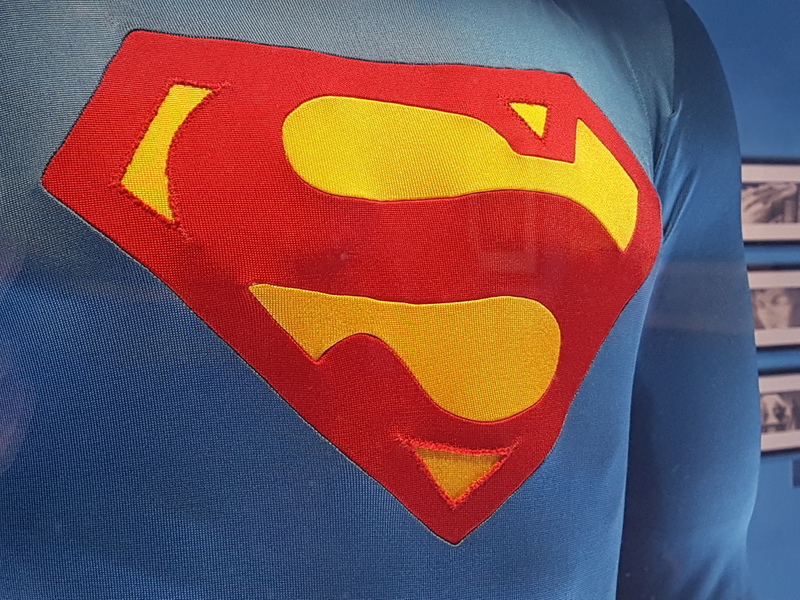 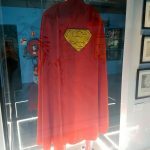 When I walked into the exhibition, I was immediately thrilled to hear John Williams’ classic Superman theme playing on a continuous loop and soon as I turned the corner, there stood the holy grail I had come to see above everything else…a near perfect Superman The Movie costume as worn by Christopher Reeve. 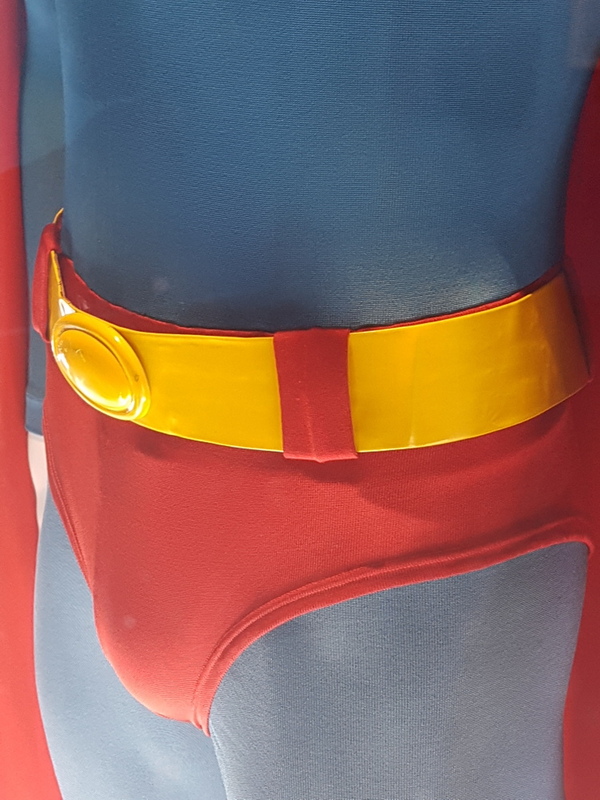 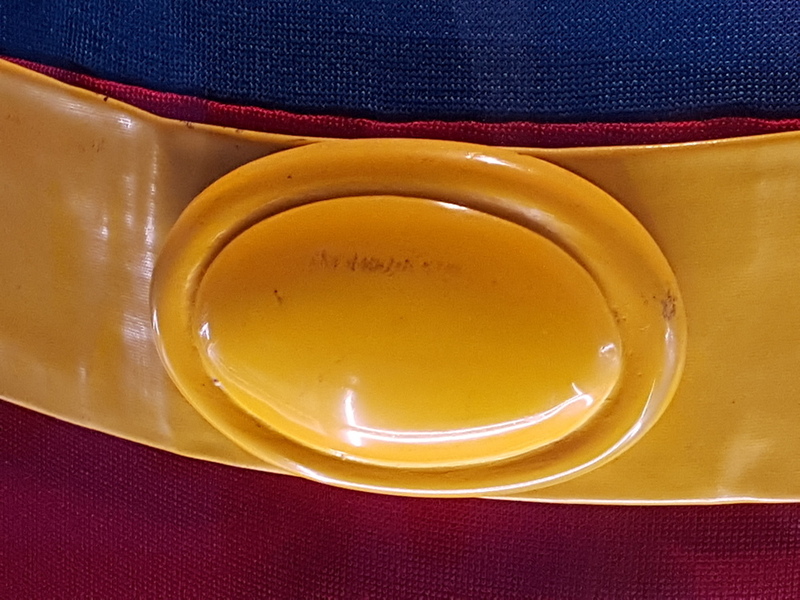 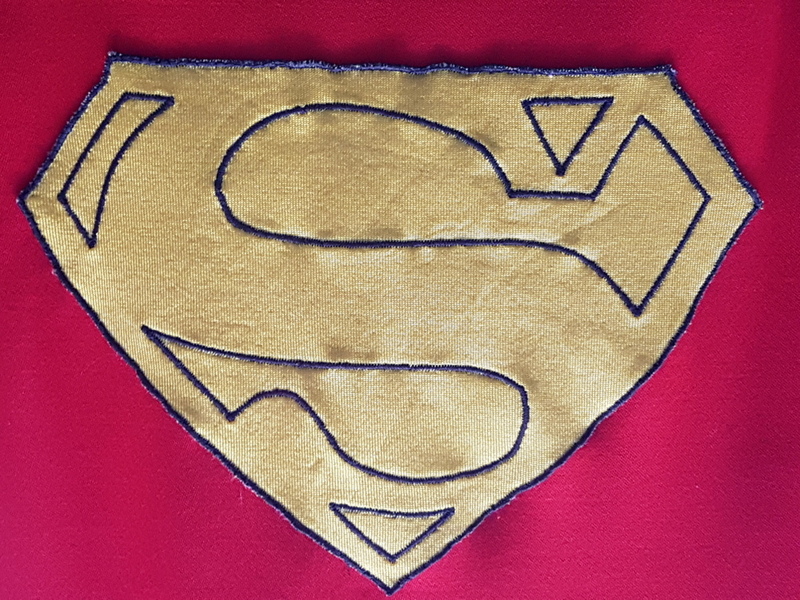 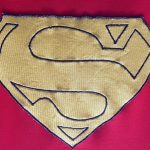 The Superman costume colours were vibrant and in great condition, with a small bit of wear on the oval belt buckle. 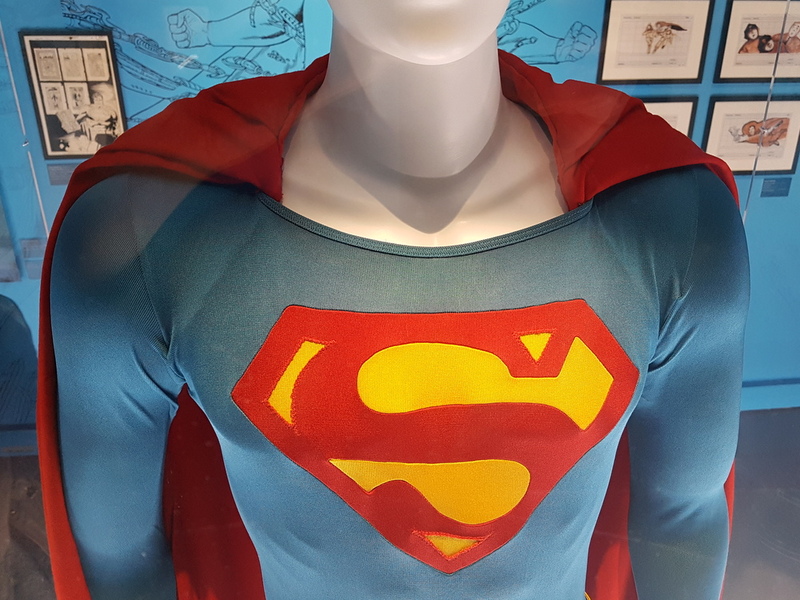 I was very surprised by just how great the costume looked, you’d never have guessed it was over 40 years old. 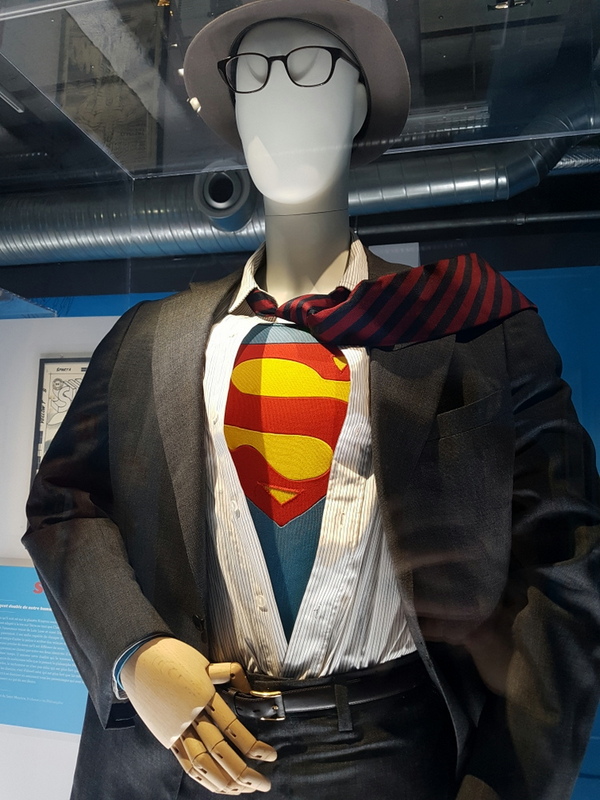 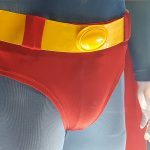 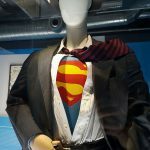 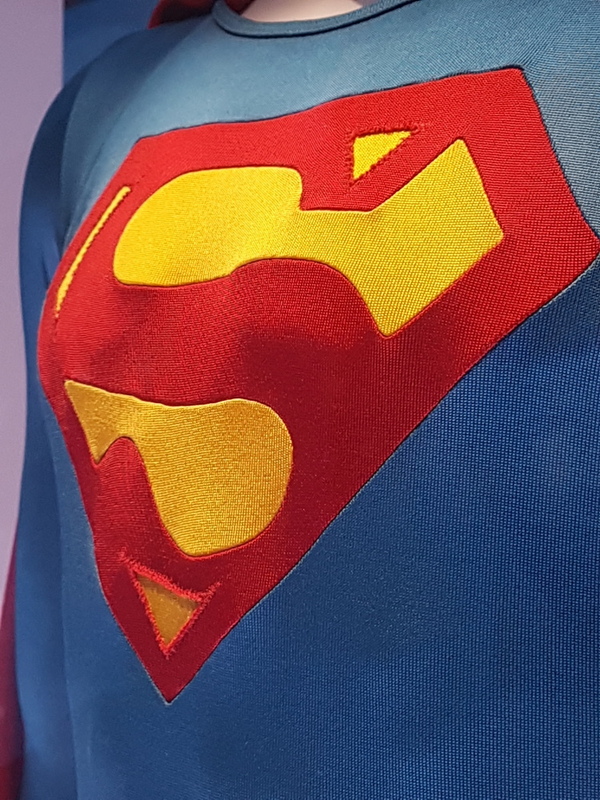 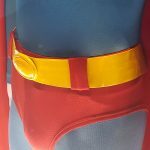 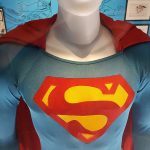 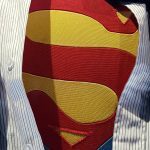 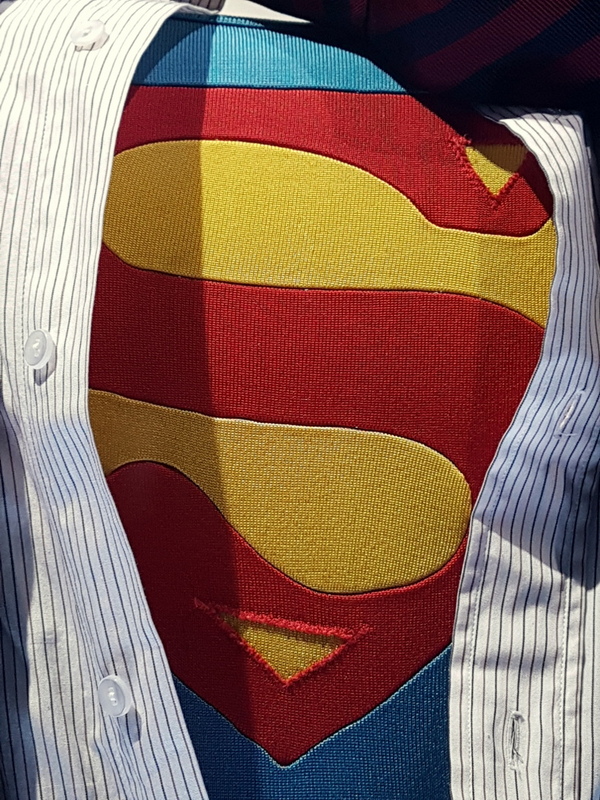 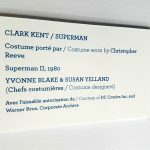 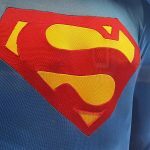 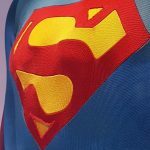 Alongside it stood a Clark Kent suit with unbuttoned shirt and Superman tunic beneath it from Superman II, It’s a moment any fan of Superman – especially the Christopher Reeve series – will get goosebumps seeing these iconic costumes with the iconic theme playing around you at the same time. 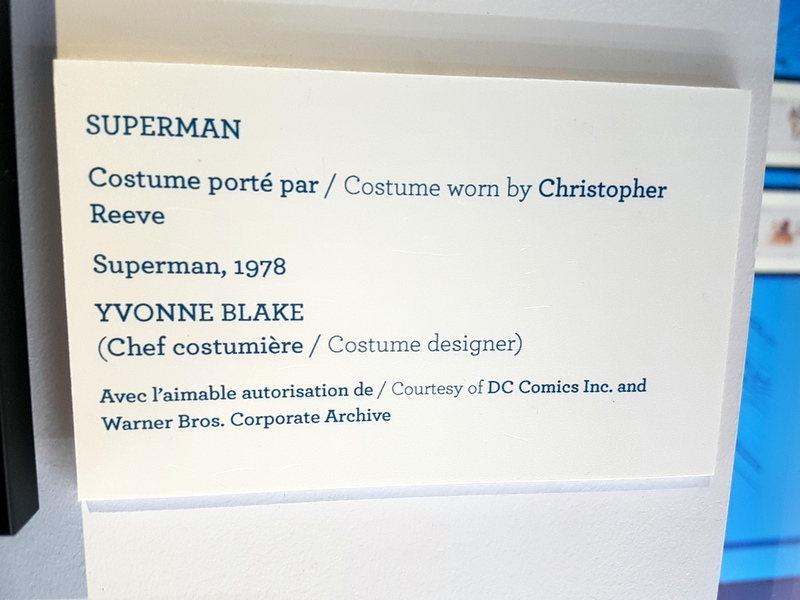 I felt like a kid standing face to face with the Man of Steel himself and was very happy I’d made this pilgrimage to see this exhibition. 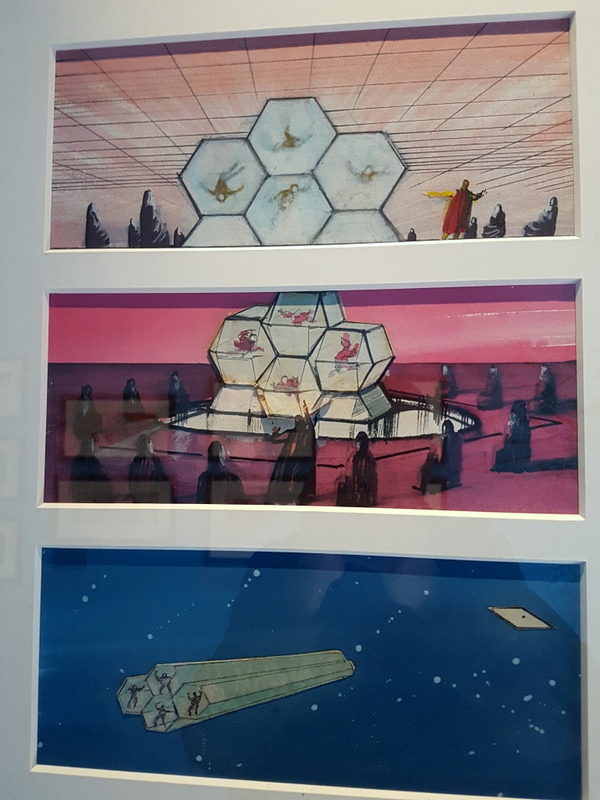 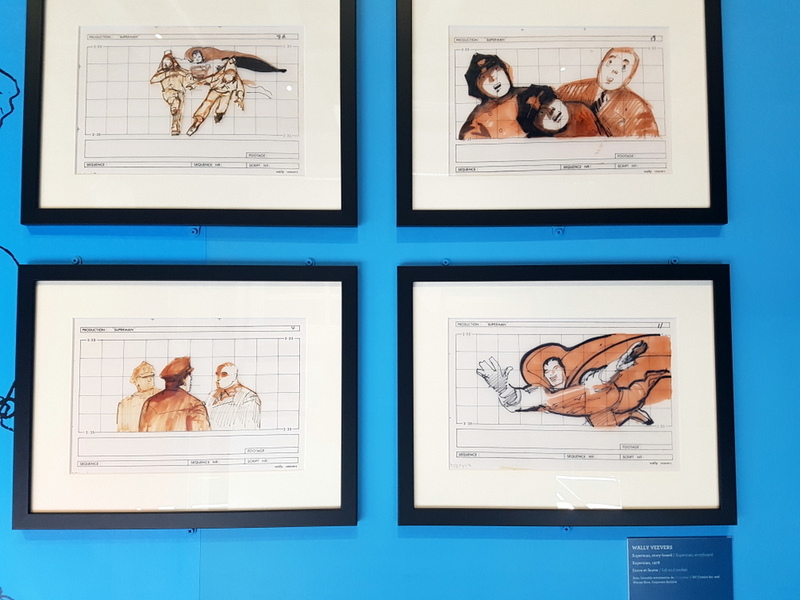 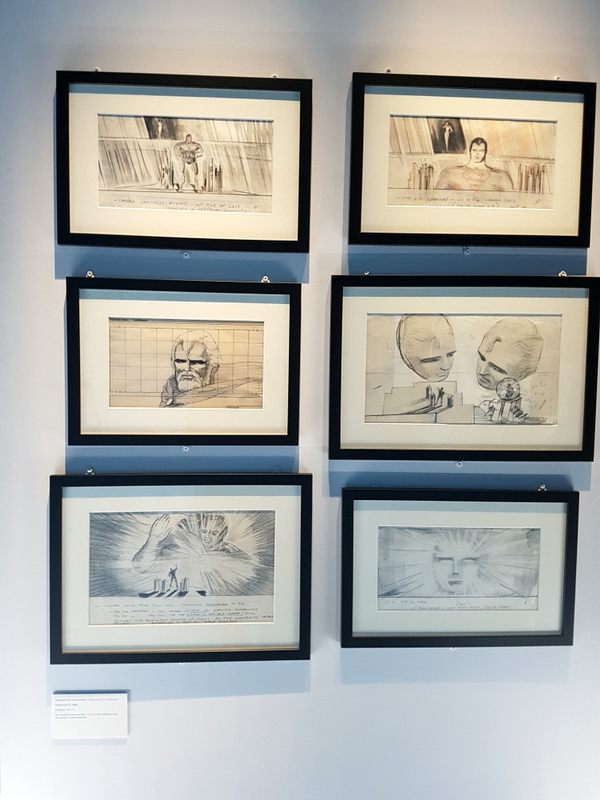 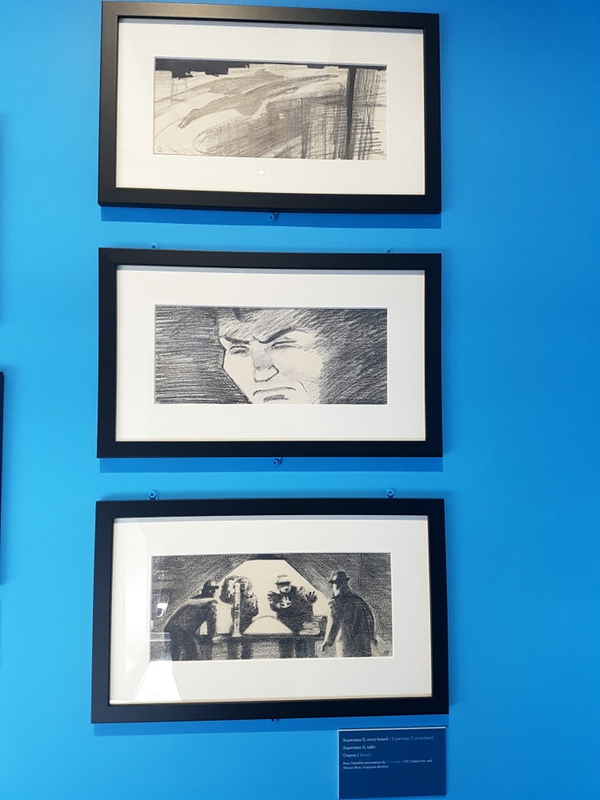 Around the same area were a number of storyboard drawings and preproduction designs from both Superman I &II, including an alternative look at Krypton technology and The Phantom Zone with Jor-El and the villains sketched out. 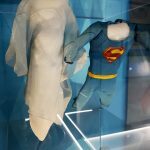 There were also small Superman and Lois Lane models side by side in a display case, used for their romantic night time flight over Metropolis. 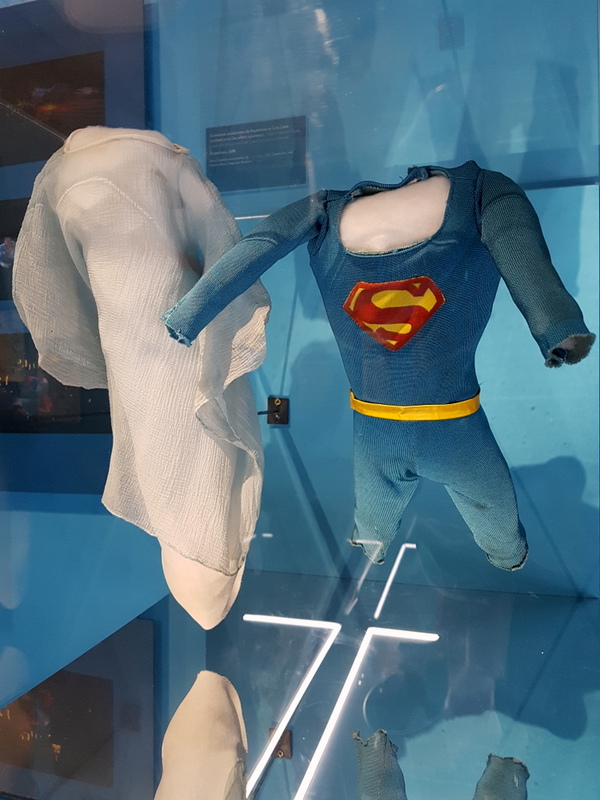 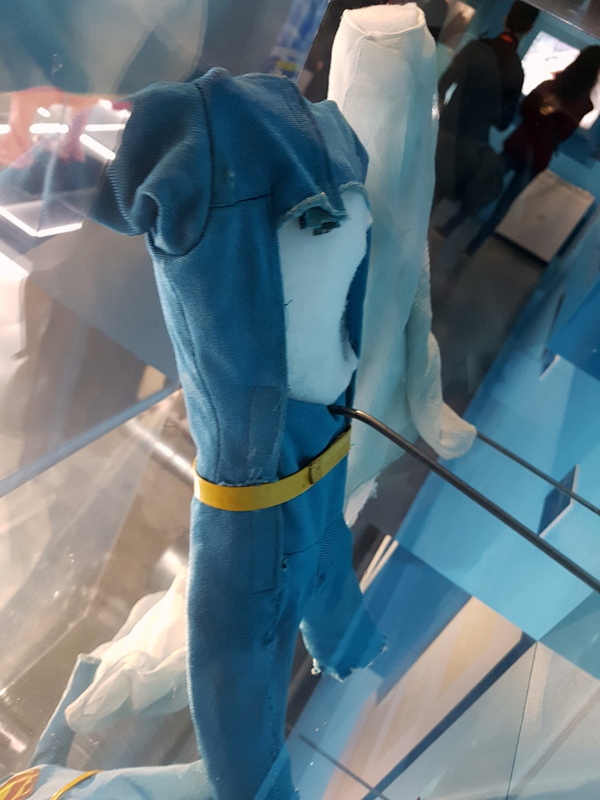 You could tell from the detailing on the Superman model that the same fabric used to make the costumes worn by Reeve had also been used in the miniature. 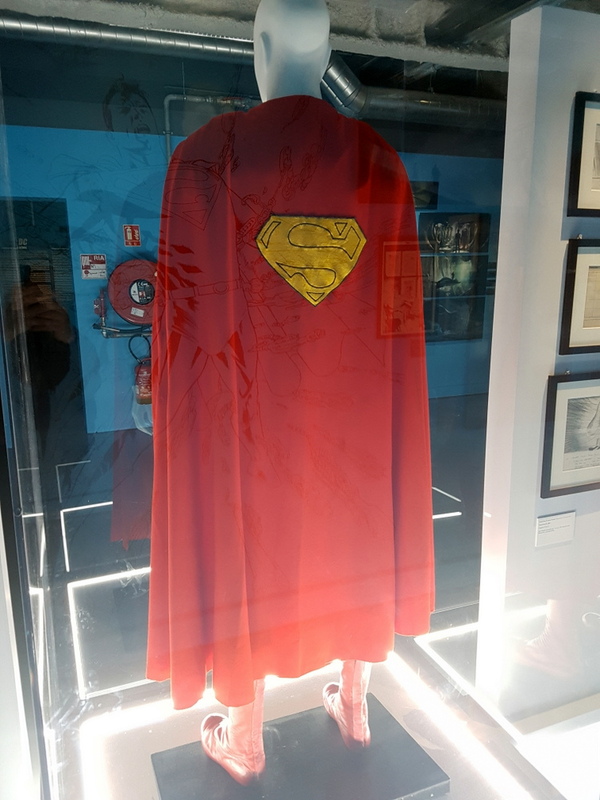 As I spent considerable time taking in these exhibits and looking over them again and again, numerous visitors were entering and the reaction to seeing Christopher Reeve’s Superman costume was the same as mine, pure joy and excitement with lots of photographs and selfies taken. 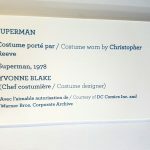 As for the rest of the exhibition, we were treated to much more original comic book artwork from the world of DC Comics, as well as costumes, props and production artwork from Superman Returns, the unmade Superman Lives and Batman ’89, Batman Returns, Batman Forever, Batman & Robin and The Dark Knight trilogy. 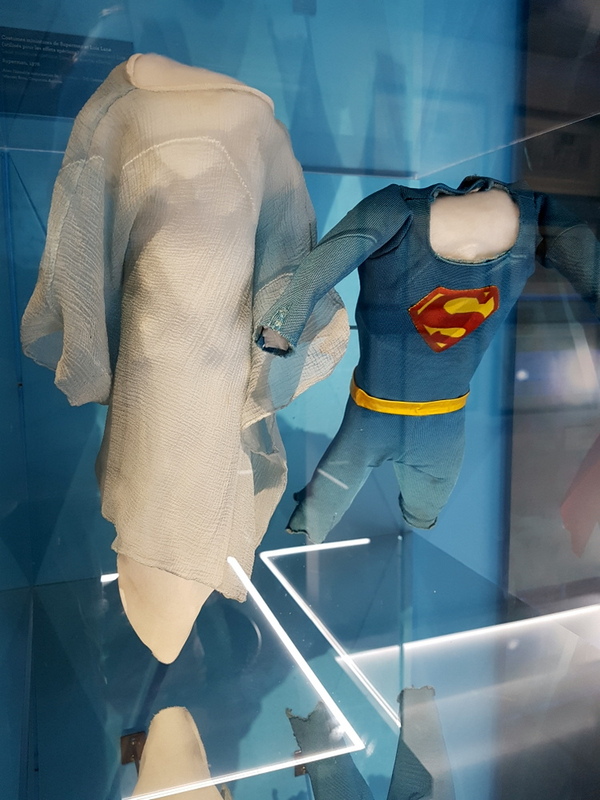 Also the more recent efforts of the DCEU with Man of Steel, Batman vs Superman, Suicide Squad, Wonderwoman and the recently opened Justice League.